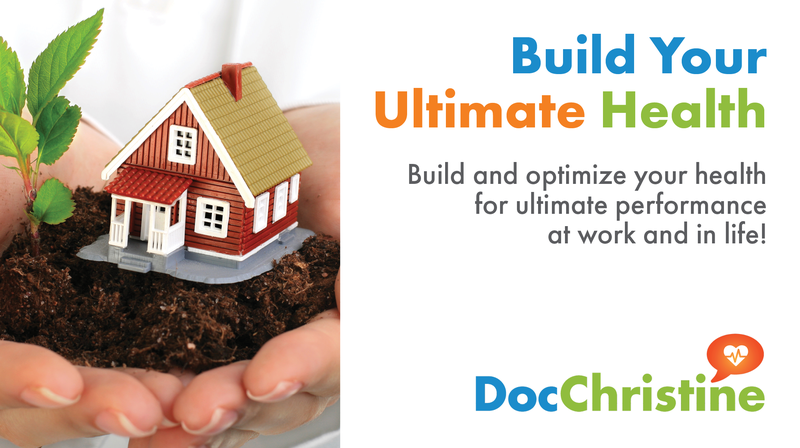 Get on the way to Your Ultimate Health with DocChristine's comprehensive and complete process! Need your Individual Health Plan? DocChristine can help show you the way! Let's get you started on the fastest way to recovery or maintenance of your good health! You deserve to feel great again! Get Your FREE Personal Telehealth Assessment! DocChristine - Your Personal Health Advisor - Unlimited Access Pass! Book your FREE Telehealth Session with DocChristine! Yes! I am worth it! I want to feel better once and for all! Dr. Christine Sauer - DocChristine - is a German-trained, board-certified (in Germany) medical and naturopathic doctor, published author, engaging speaker and an expert personal health planner. She founded "Build Your Ultimate Health" - a proven, comprehensive process to plan for and transform your health and wellness for good. DocChristine specializes in Personal Health Planning, Advising and Disease Prevention and reversal of chronic fatigue, brain fog, stomach and skin issues and other chronic ailments. DocChristine’s clients choose her for her trusted and proven advice. DocChristine’s services are 100% private and confidential. Would you like individualized, proven advice and help? Ask DocChristine! What difference working with Dr. Christine made for her life! Listen to how working with DocChristine impacted her life!